Fast on the heels of last week’s “teaser” video, BH officially announced its latest addition to their G-series range of road bikes today – called the G7. 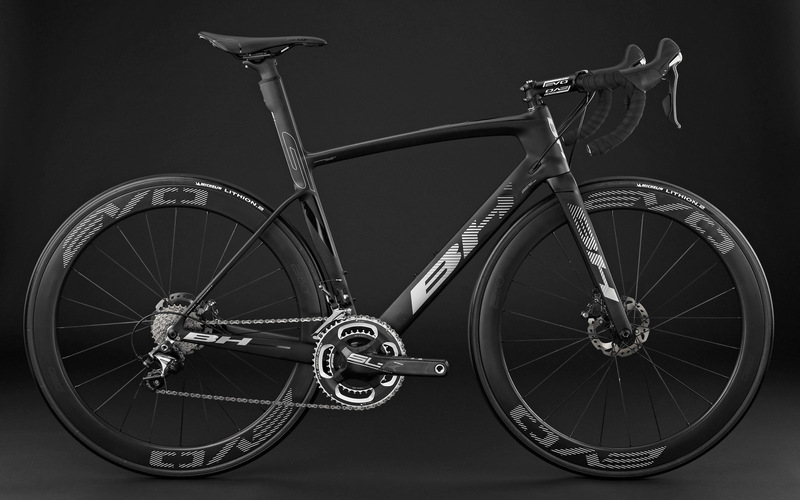 However, above and beyond the brand’s continuation of its aero-bike theme, the G7 constitutes BH’s first foray into the disc road bike segment – for this series. The new G7 features further refinement of BH’s intricate carbon composition, to include a redesigned headtube and steerer, a Press Fit 386 bottom bracket, integrated front and rear brake calipers, along with front and rear 12mm thru-axles. In addition, BH also tweaked the design of the G7’s rear triangle, which now features lowered seat stays, as well as a newly shaped extended seatmast and sleeker seatpost clamp – all in the name of aerodynamic efficiency. According to BH, G7 Disc will be available in four “builds”; namely, Shimano Dura-Ace, SRAM Red, Shimano Ultegra Di2 and mechanical Ultegra. In the case of the Dura-Ace and Red models, the two bikes will feature an FSA K-Force crankset, while the Ultegra bikes will get the Italian brand’s SLK version. Lastly, the G7 will be consistent with BH’s approach to geometry – with availability in 3 sizes. Expect to see the new G7 Disc arrive at these shores sometime late fall or early winter.